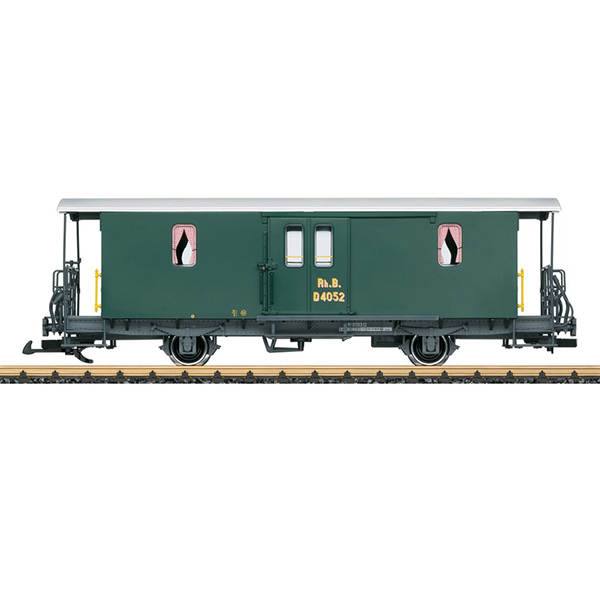 Product: This is a model of an RhB type D2 two-axle baggage car. This is a finely detailed model of the car with a smooth steel body. The paint and lettering are prototypical for Era VI, as the car is still seen at present is use in historic trains. The doors on the ends and the sliding doors can be opened. The car has metal wheel sets. Length over the buffers 45 cm / 17-3/4". LGB Club models are available exclusively to members of the LGB Club.